The Whitley Family, Troy and his family, along with many Keith Whitley fans want to send our deepest sympathies to Waylons family. This came as a shock for everyone who loved Waylon. Troys comments..."I can remember one of the very first 45 records my mom ever got me was Waylons single "Rainy Day Woman", and I can still remember telling my mom..."Mom, that is the coolest guitar sound I have ever heard". To listen to that song today, I still think that it is one of the greatest guitar licks in country music. At this time, I am still in great shock. Waylon was definitley the John Wayne of Country Music. They call him THE OUTLAW, but ya know what? He wasn't an Outlaw. He just wanted things to be done is way, and made sure that they WERE done HIS WAY. His music was done the way he wanted, not the way Nashville wanted it. That is what the fans loved about him. They werent just getting part Waylon, part Nashville. They got 100% Waylon, and thats the way it should be. 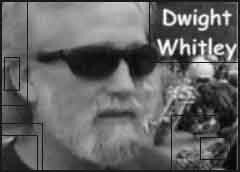 Keith was a tremendous fan of Waylon, so is Keiths brother Dwight. I remember hearing Keith do a version of GOOD HEARTED WOMAN and impersonating Waylon and Willie, and did a GREAT job! Dwight usually performs the song at his shows as well. We have a deer skull with antlers on our wall in the living room that we bought at Waylons estate sale a year or so ago, and we have treasured it from day one. Today, as I look on the wall, it saddens me. But one thing I have to remember... We will always have his music, and what good music it was, and is!!! 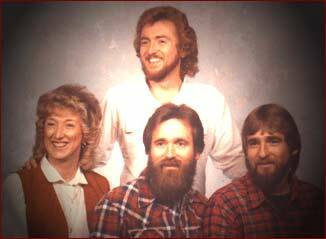 On February 13th 2002, we lost a Great Legend, but at the same time, Keith Whitley got to meet one of his Idols. Waylon, we will never forget you! We love love you Hoss! PLEASE be sure and mark out ANY credit card numbers,etc that may appear on that receipt for your safety. I'm, not sure what postage will be, but it isnt much at all. Probably 2 dollars would cover the postage, but PLEASE be sure and send a POSTAGE PAID/SELF ADDRESSED envelope. This months featured cd (which will probably run thru the end of February) is.... ALAN JACKSON - DRIVE I have personally heard this cd and was amazed. I feel that this is his best collection of original songs ever!!! The cd also features the #1 Hit "Where were you (When the world stopped turning)". The cd also features another duet with George Strait titled "Designated Drinker". If you are a fan of ALAN's or just love REAL COUNTRY MUSIC, then this cd is a MUST for all. The album will be released Jan 15th. Stay Tuned to Keith Whitley Blvd for more giveaways, and lets keep supporting REAL COUNTRY MUSIC!!! Save the radio station that brings nashville real country. They are talking about changing the stations format to sports 24-7. This is the station that broadcast the grand ole opry every friday and saturday! help save it by signing the petitions! The 2001 Exhibit is history! What is the Memorial Exhibit? Every year people come together in Keith's hometown of Sandy Hook Kentucky to visit with his family and see items that belonged to Keith. The Whitley family will be present to greet all of Keith's fans and feel free to bring your guitars! A great chance to jam with fellow fans!! Want more information about times and reservatoins? Contact Troy Elder @ this address: telder@adelphia.net See here for more info and pictures and accounts from past exhibits! New Message Board / Forum! Bill Arnold, a new face to Nashville! Like finding hot new talent before they hit the mainstream? Then Bill Arnold is your man! This great new country artist is sure to be a big hit once he gets to Nashville. He already has a gig with upcoming artists Rascal Flatts, next month! 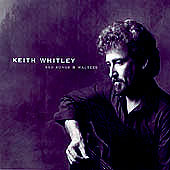 We here at the BLVD wish to bring you some MP3's anf information about this great Keith Whitley supporter and great performer! Visit the Bill Arnold Website! You can Pre-order your copy of Ken Mellons' greatest hits! Please use IE 4+ in 800x600 res. If you don't have and do not wish to download the free plug-in simply close the window and proceed through out the site.